Some U.S. lawmakers want the SEC to block the sale of the Midwest exchange to Chinese investors. Their concerns are largely fear mongering. But as self-regulators, all such venues will soon get access to customer data as part of a new audit trail. That justifies closer review. 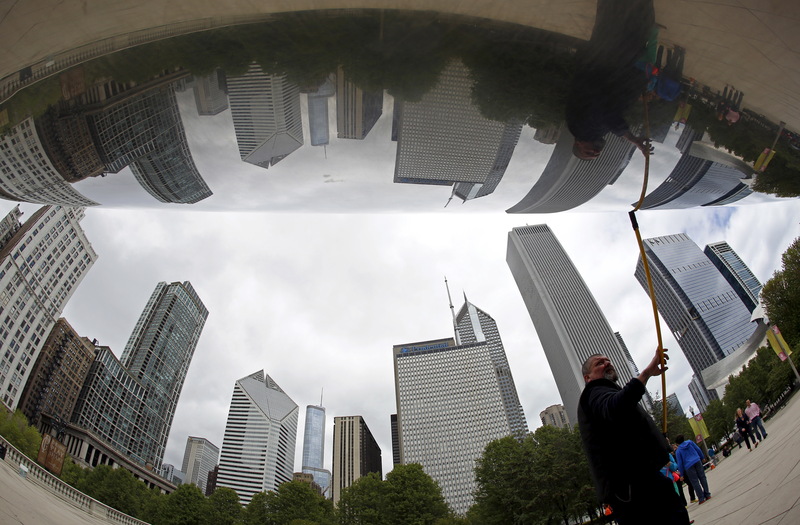 Worker Raymond Solis is reflected in sculpture "Cloud Gate" as he polishes it to remove fingerprints in Chicago, Illinois, United States, May 12, 2015. A group of 11 Republican and Democratic lawmakers asked the U.S. Securities and Exchange Commission to block the sale of the Chicago Stock Exchange, or CHX, to a group of investors led by China-based Chongqing Casin Enterprise Group, according to a letter sent on July 10. The lawmakers, led by Congressman Robert Pittenger, expressed concern that the SEC would be unable to properly monitor the ownership structure of Casin because of the lack of transparency in China, which could mask government influence. The SEC said in June that it could take up to another 60 days to make a decision on the sale. CHX handles less than 0.5 percent of U.S. stock transactions.